Looking for the perfect Birthday or Christmas gift? 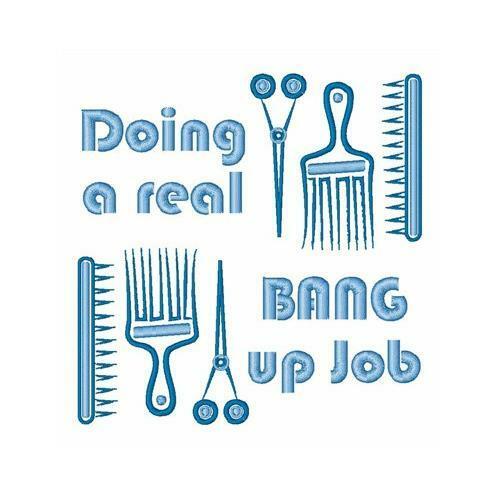 Embroider this design on tunics, tabards, t-shirts, jackets or wall hangings for your favorite hairdresser! Finish Size 4.84" x 5.00"